The U.S. Advisory Commission on Public Diplomacy (ACPD) will hold its next quarterly public meeting from 10:00am-11:30am on Tuesday, September 20, 2016 at the Dirksen Senate Office Building, Room 106. The Dirksen Senate Office Building is on Constitution Ave, NE between 1st and 2nd St, NE. 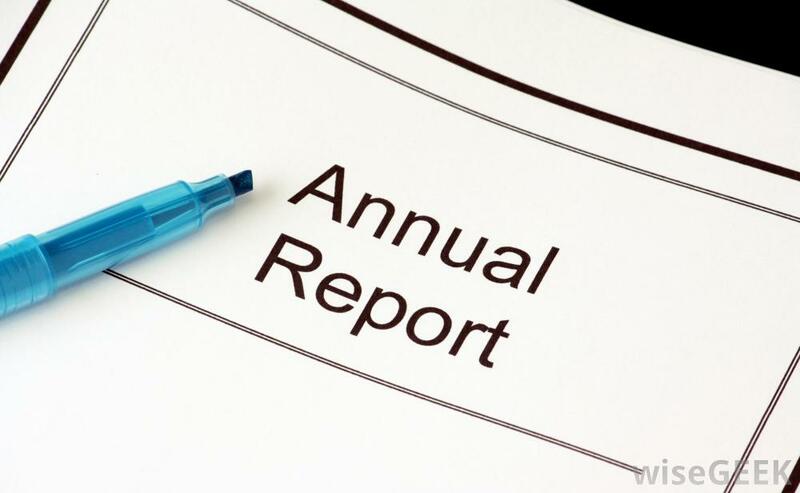 The Commission Members will introduce the key findings from the 2016 Comprehensive Annual Report on Public Diplomacy and International Broadcasting, a report mandated by Congress to itemize and describe all public diplomacy and U.S. international media activities worldwide. The report will be released at the meeting in book form and will also be available on ACPD's website, www.state.gov/pdcommission, as will the meeting's transcript. 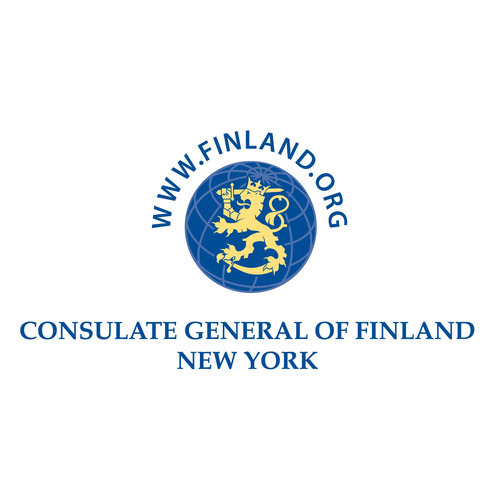 News, 8/30/2016 | Consulate General of Finland, New York, "My Finternship: Public Diplomacy in New York." Six months at the Consulate General of Finland in New York taught me a lot about public diplomacy, transatlantic cooperation and Finland's relationship with the U.S. At the same time I felt extremely lucky to get to explore one of the biggest and most multicultural metropolises in the world. Mari Tuokko worked as a CIMO intern at the Consulate General of Finland in New York. 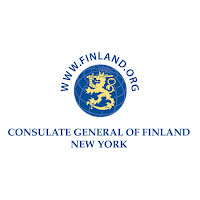 I was privileged to work as a CIMO [see - JB] intern at the Consulate General of Finland in New York in the Economic, Cultural Affairs and Communications team from January to July 2016. During the intensive six-month-period I learnt a great deal of New York City, the work of Ministry for Foreign Affairs, and the representation of Finland abroad. During the internship I was responsible for a wide range of communication tasks from strategic planning and social media management to media monitoring and managing stakeholder relations. My daily work included planning and creating content to the Consulate General's digital platforms, such as website, blog and newsletter. I produced content on current topics covering e.g. Finnish culture and the education system, Nordic cooperation, innovations, and Finnish SMEs planning to expand to the United States. A part of Consulate General's work is to contribute to a positive and truthful image of Finland in the U.S., and the use of social media platforms in public diplomacy – also referred as digital diplomacy – is constantly growing. Therefore large part of my work comprised of managing our social networks, and tracking and analyzing social media metrics. Consulate General reaches a wide audience both in Finland and in the U.S. with more than 11,000 followers and a weekly reach of tens – even hundreds - of thousands of users. I found it rewarding to learn more about efficient social media strategies and I was happy to see the followers of our networks increasing with more than 30 % during my term. New York City never sleeps. In addition to communications, I was also involved in assisting to organize and execute several events such as Tech Night organized together with Finnish Business Angels Network, a media briefing ahead of the global launch of Rovio's new game "Angry Birds Action!" and a health tech meeting with Finnish Minister of Economic Affairs, Olli Rehn. It was rewarding to grow to understand how Finnish organizations operate in the U.S. and to learn how bridges between Finnish and American individuals and organizations can be built. Outside of the office hours, there was a lot of time to explore New York City: its diverse cuisines, world-famous museums and cultural events, distinctive neighborhoods, and cute hidden cafés. Life in the city can be very hectic as the five boroughs of the city offer something to do for every spare hour. One of the greatest highlights of the spring, however, was to get to follow the U.S. presidential election closely as the New York primary elections took place in April – I will never forget listening to Bernie Sanders talking to 30,000 people at Washington Square Park or shaking hands with Hillary Clinton at the Sheraton hotel. One of the most memorable moments of the spring was meeting Hillary Clinton during New York primary election. Besides growing professionally and personally during my tenure at the Consulate General, I also created a broad network of international young professionals as well as long lasting friendships. The personnel at the Consulate General were warm and welcoming, and made me feel like home from the very first day. I want to thank you all for offering me this wonderful and unforgettable experience. I know I’ll be happy to return to New York – a city I can call my other home from now on. Since the 1971 Bangladesh Liberation War, for many years India has maintained a pacifist stance with Pakistan. Several Indian governments have repeatedly sought talks with Pakistan over numerous border disputes, trade ties and regional pacts, staying the course despite multiple insurgencies and attacks by Pakistan based terror groups. Indian armed forces have also maintained a state of ‘self-defence’, targeting infiltrators and terror cells but never launching pre-emptive strikes on Pakistani soil. 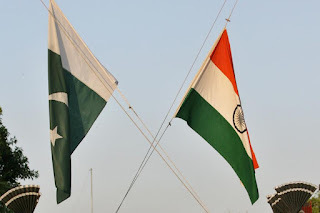 The Pakistan narrative from many Indian governments has been quite subdued, an effect of the ‘Cold Start’ military doctrine, which focuses on military buildup to spark economic instability in the rival nation, along with a focus on international and diplomatic levers to maintain pressure. India continues to adhere to this doctrine, yet under PM Modi’s guidance, there is an increased focus on optics with India waging a public relations battle on the diplomatic stage. The status quo remains the same between the two nations, but the Modi government has taken a more aggressive political stance. Modi has suspended talks over Pakistan officials meeting Jammu and Kashmir separatists, set the agenda for bilateral engagements namely removing Kashmir from the joint-statement at the Ufa summit, repeatedly raised the threat of terror from Pakistan on the international stage and most recently, highlighted atrocities of the Pakistan army in Pakistan Occupied Kashmir and Balochistan via the forum of his Independence Day speech. Enforcing ‘red lines’ comes in conjunction with a highly emotive and globally recognised image of Pakistan as under siege and even controlled by terrorists and fanatics. It is a perception bolstered by news and images of multiple terror attacks, thousands attending rallies organised by extremists and the killings of secular activists and media personalities. It is an image that popular culture has latched on to, showcasing it in movies, TV shows and video games, feeding on the ‘civil war’ in the nation to sustain the terror narrative in the West. At the same time, Modi made a historic move inviting Pakistan PM Nawaz Sharif and other South Asian heads of state to attend his swearing-in ceremony. In December in 2015, the Prime Minister made an unscheduled visit to Lahore to attend Nawaz Sharif’s granddaughter’s wedding a week after both sides agreed to a Comprehensive Bilateral dialogue. Prime Minister Modi also invited a Pakistan probe team to survey the site of the Pathankot terror strike, even though India was denied permission to assess the probe across the border. The Modi government has used the world’s negative view of Pakistan over the rampant plague of terrorism to boost India’s narrative on the global stage, enforcing the red lines of engagement, even sidelining Kashmir as an international issue. For many years, the Kashmir debate has only focused on the region in India’s control, but Prime Minister Modi has expanded the debate to PoK and Balochistan, re-directing Pakistan’s narrative against itself, putting a spotlight on human rights violations the Sharif government cannot hide, deny or ignore. At the same time, Modi has come across as magnanimous, reaching out to the Pakistan government to keep channels of engagement open. 'Shake and slap' is how one can describe the nature of Pakistan’s engagement with India for over 50 years. Prime Minister Modi seems to be returning the favour. “The Danish government has decided to tighten the regulations concerning refugees in a number of areas” – Advertisement aimed at discouraging Syrian refugees from coming to Denmark, placed in Lebanese newspapers and also posted by Danish Integration Minister Inger Støjberg on her Facebook page. “Asylum seekers should head for Denmark—here are five reasons why” – op-ed in The Guardian aimed at encouraging refugees to come to Denmark, written by Michala Clante Bendixen, chair of the Danish Refugees Welcome organization. One of the most desired destinations for the more than one million refugees and forced migrants who made their way to Europe in the last year were the liberal welfare states of Scandinavia. Yet the two quotes above reveal that, in Denmark at least, its conservative government and some of its more liberal citizens each worked to create two very different narratives addressed to refugees and beyond. These conflicting discourses reveal the ways that the refugee crisis has set off a struggle between governments and their own citizens concerning what policies and attitudes to project, a conflict that has shaken the foundations of the European Union’s open borders policy and regional cooperation. The crisis illustrates how public diplomacy has increasingly become an area that can be contested by a country’s own citizens, who are able to offer a public and easily shareable opposing narrative. As political scientist Joseph Nye notes, in a world of networked diplomacy, actors beyond the traditional governmental ones are just as likely to be executing their own forms of soft power. They can do so in the virtual world by producing and disseminating their own messages and media content online as well as in the real world by traveling outside their own borders to physically carry out actions and support policies differing from what their governments have proclaimed. Last year’s election of a conservative government in Denmark brought about a series of statements and policies intending to dissuade refugees from even considering Denmark as a destination. In addition to the advertisements noted above, the Danish government declared that they would seize the refugees’ private property including money and jewelry, at the border in order to pay for the expense of housing and feeding them. This prompted local as well as global condemnation. As a political scientist at Denmark’s Aarhus University told the news outlet Vice, “It is very odiously reminiscent of the German past—leave the valuables and go to the showers.” Similarly, the Danish government declared refugees would have to live in tents in remote areas even throughout the snowy winter. However, the Danish activists I interviewed this summer said these policies were rarely connected to real actions. Most refugees continued to live in buildings such as out-of-use barracks around Denmark, including in its towns. In the months after the so-called jewelry law had passed, no money, jewelry, etc., had been seized, although in what seems to be the only such case, this past July authorities did take cash from Iranian refugees arriving at Copenhagen airport with false documents. 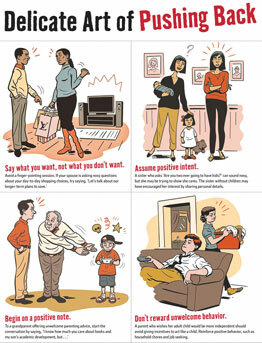 Activists scorned these new policies, calling them a form of propaganda. Bendixen of Refugees Welcome said that the government risked setting off unanticipated effects, such as damaging the country’s image as a global business center welcome to the world’s citizens, as it created a new image of Denmark as xenophobic and closed to outsiders. The crisis illustrates how public diplomacy has increasingly become an area that can be contested by a country’s own citizens, who are able to offer a public and easily shareable opposing narrative. But just as the government had its own public push against refugees, many ordinary Danes created a narrative that promoted a very different story. For example, volunteers from Denmark’s Refugees Welcome traveled to Greece and handed out Arabic language pamphlets comparing asylum conditions in Denmark to Sweden and Germany, which showed at that time there was a shorter wait time for their asylum request to be heard in Denmark as well as quicker reunification times with families. 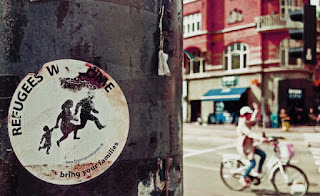 Bendixen, a professional graphic designer, pointed out that a flier they used intentionally incorporated the words “bring your families” into its logo to contradict the government’s line. The creation of citizen narratives was seen in other parts of Europe, such as Berlin’s Refugees Welcome home sharing initiative (nicknamed the “refugee AirBnB”), raising interesting issues about the ways the refugee crisis has affected not just the EU’s own ability to collectively cope with the crisis but the ways an individual government can gain or lose soft power in its attempts to influence the refugees’ attitudes about their countries. In part, this happens because it’s difficult—if not impossible—to isolate messages for one group of people without those same messages being seen by many other unintended audiences. While the Danish government’s statements appear to have achieved widespread dissemination through news media coverage, they may not have actually deterred any refugees from coming there. In my interviews with Syrians seeking asylum in Denmark, many arrived in the country with reasons that no public campaigns would be likely to affect, such as hoping to join family members already living there. The many volunteers they interacted with in the asylum centers made them feel accepted in Denmark. Furthermore, with a group such as Syrian refugees, who are long-used to ignoring government propaganda and mistrustful of institutions, the statements and actions that were intended to discourage them may not have even been noticed. That said, some refugees did report that on their journeys through Europe they found the most help from UN agencies and NGOs and sometimes even ordinary people, suggesting that in the battle of narratives, the welcoming one rather than the threatening one may have been the most successful in creating a memorable impression. As Nye argues, true soft power goes to those whose story wins. Professor Mikhail Bukhtoyarov of Siberia’s Federal University has published an analysis of Massive Open Online Courses (MOOCs) and their role in digital diplomacy. MOOCs, free online courses on a range of topics, first appeared in 2008, and today hundreds of thousands of universities offer them to an eager and growing international audience. Bukhtoyarov suggests that these courses form a unique digital diplomacy tool, as “the course designer can not only introduce a particular set of ideas through the content of the course, but also track the level of their acceptance by the audience. MOOCs on social science, liberal arts and humanities are potentially the most suitable tools for the purposes of digital diplomacy, as they are designed to be efficient in dissemination of particular philosophical, ethical, or even political ideas.” What’s more, though users utilize MOOCs primarily for education, they can also be used by universities to build social networks, strengthen a brand, and collect and analyze large amounts of data. The mutual benefits to this arrangement have made these courses one of the fastest-growing online tools, and practitioners of digital diplomacy would be remiss not to acknowledge their potential for engagement as well as education. 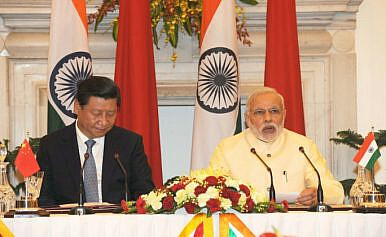 Sino-Indian relations saw an upswing when Chinese President Xi Jinping visited India in 2014, and India’s prime minister, Narendra Modi, returned the visit in 2015. Both leaders agreed to focus on improving bilateral relations through commerce and trade. China agreed to partner with India in accelerating its economic development by investing in various infrastructural projects and also setting up manufacturing facilities in India. Real power in global governance requires intellectual input into the international financial and economic agenda, policies and rules — the effective exercise of ‘soft’ power. 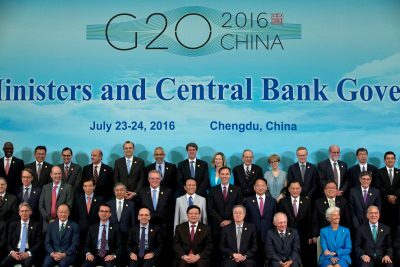 [...] The major substantial outcomes of the G20 to date, including updating international financial regulatory rules through Basel III and international tax cooperation on tax havens, have been mostly led by the Atlantic countries. 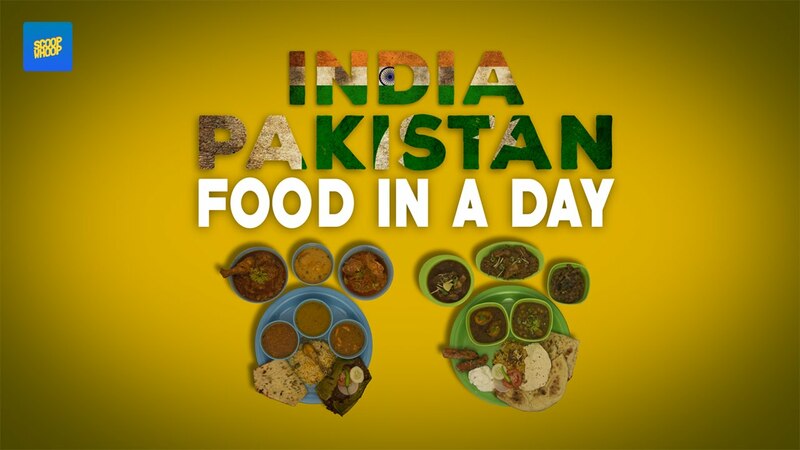 A popular restaurant, which sells Indian and Pakistani cuisine and the idea of peace between the not-so-friendly neighbours right at the international border between both countries, will showcase its food at an international food event in Paris next month. Looking back on a year at the Public Affairs Section at the American Embassy in Kabul, I realize that two things could jar my diplomatic calm, my sangfroid. Make me hot under the collar. Torque my jaws. The other was the “war tourists” visiting Afghanistan for a few days. I usually think of young Congressional staff or junior people on foreign policy task forces. They met the Ambassador and high Afghan officials, helicoptered around the country, and rode in convoys protected by our troops. What’s not to like? I am not one of those who think that commanders ought never to receive advice; on the contrary, I should deem that man more proud than wise, who did everything of his own single judgment. What then is my opinion? That commanders should be counselled, chiefly, by persons of known talent; by those, especially, who are skilled in the art of war, and who have been taught by experience; and next, by those who are present at the scene of action, who see the country, who see the enemy; who see the advantages that occasions offer, and who, embarked, as it were, in the same ship, are sharers of the danger. If, therefore, anyone thinks himself qualified to give advice respecting the war which I am to conduct, which may prove advantageous to the public, let him not refuse his assistance to the state, but let him come with me into Macedonia. He shall be furnished by me with a ship, a horse, a tent; and even with his travelling charges. let it confine its passion for talking, and rest assured, that we shall be content with such councils as shall be framed within our camp. Recent initiatives by technology companies to push back against Islamic State’s social-media messaging highlight a sobering fact: The U.S. government’s battle on that front has mostly sputtered. The government’s countermessaging efforts so far have been scattershot and, some close to the government think, largely ineffective. Officials say the government’s new strategy is to empower third parties to create their own messages, a contrast from earlier efforts that were criticized for having too much direct government involvement.
. . . the Global Engagement Center [is] a new State Department initiative created this year to combat Islamic State messaging. Unlike the previous effort, the center aims to reduce the government’s direct engagement online, especially in English, which officials saw as ineffective. There are some encouraging signs. Since June 2014, there has been a 45% drop in pro-Islamic State tweets, said U.S. officials, citing data analytics technology that tracks Islamic State’s presence on social media. It’s unclear, however, whether the drop in tweets has resulted in fewer foreign fighters wanting to join the terrorist group. Islamic State supporters are also becoming more active on encrypted messaging apps, experts say, which raises the question of whether counternarratives on platforms like Twitter or Facebook are reaching the proper audience. Government-backed messaging has always been fraught with challenges. In 1948, Congress passed the Smith-Mundt Act, which said government information about the U.S. could only be distributed overseas. Those restrictions were later loosened but are still seen as somewhat outdated in the internet age. Nevertheless, the legal rules have forced the State Department to be careful not to present its messaging efforts as domestic propaganda, experts say. The most significant hurdle lies not with the messages themselves, but with the messenger, according to current and former government officials. Experts widely acknowledge that directives from the U.S. government are unlikely to resonate with young people interested in joining Islamic State. That presents the dilemma of how the government can support countermessaging efforts by tech companies and Muslim community leaders without undermining them. A bipartisan congressional task force and the Homeland Security Advisory Council, which advises the Homeland Security secretary, have both recommended stronger countermessaging efforts by the government. The Department of Homeland Security announced last month that it would set aside $10 million of its budget to launch the first federal grant program devoted exclusively to “countering violent extremism,” which includes countermessaging initiatives. School districts, local governments and nonprofits around the U.S. have been invited to apply. Earlier this month, the Institute for Strategic Dialogue, a London think tank, published a report studying what kinds of counternarratives are most effective online. The experiments were funded by Google parent Alphabet Inc., Facebook Inc. and Twitter Inc. One conclusion from the study: The messages should be narrowly targeted to a particular audience. Over the past year, the government has helped tech companies like Facebook create competitions for college students around the world to come up with their own campaigns against extremism. The efforts recognize that young people will respond best to messages created by other young people. This spring there were 54 universities in the competitions, up from 45 schools last fall. In April, the House passed a bill that would require Homeland Security to use testimonials of former extremists and defectors to combat terrorism, a strategy that is widely employed in Europe. State Department officials also have encouraged media companies and filmmakers to host workshops where Muslim activists can learn to film their own content. China has been pursuing an aggressive 'public diplomacy' in Pakistan since early days of its bilateral relations with the latter. Policy of 'public diplomacy' is being pursued by China essentially to seek its national interests by influencing Pakistani people through government sponsored cultural and academic programmes and regular interaction with Pakistani youth by encouraging them to learn Chinese (Mandarin) language. Enormous funds are being spent by China on academic infrastructure in Pakistan and China for Pakistani youth to facilitate them in learning Chinese (Mandarin) language. China has been following this policy so successfully in guise of bilateral cultural relations that majority of educated Pakistani youth now gives Chinese language a priority in their academic life for their future career as well as to receive higher education in China. 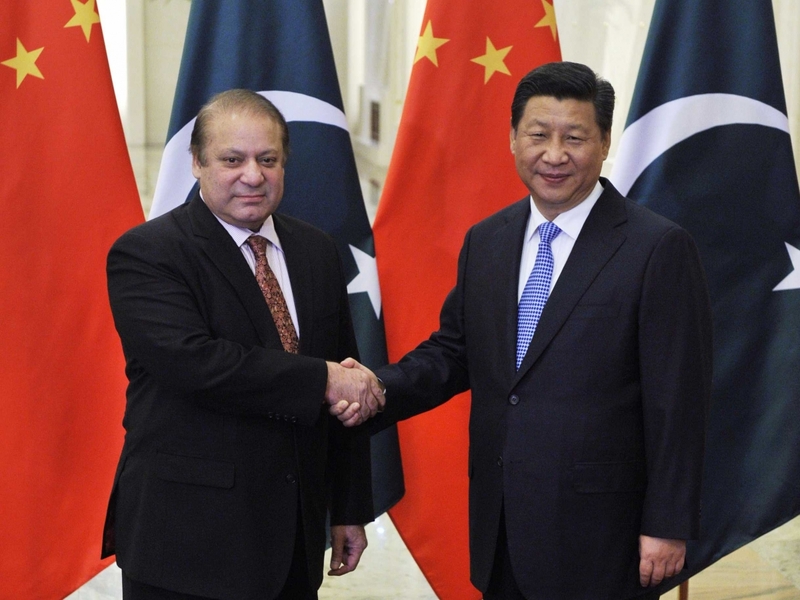 Pakistan and China extol themselves being 'perfect partners' in Asia. They are gleefully unison in their bilateral relations varying from defense to cultural affairs since establishment of their diplomatic relations on May 21, 1951. China always encouraged people to people contacts between the two countries as a part of its aggressive 'public diplomacy' policy to establish its foothold in Pakistan for achieving its long term strategical and economic goals beyond the region since early years of relations with Pakistan. For this, China has been constantly engaging Pakistan, at various bilateral levels through institutional mechanisms, primarily to woo youth of Pakistan by offering them incentives and modern day facilities to learn Chinese language (Mandarin) in Pakistan and China. China gave utmost importance to cultural relations with Pakistan since early 50s beginning with the era of Chairman Mao Zedong and Premier and the then Foreign Minister Zhuo Enlai. It was in November 1955, when the first ever Chinese women's goodwill official delegation from Peking, now Beijing, had visited Pakistan at the invitation of the All-Pakistan Women's Association (APWA). Since then cultural delegations from various walks of life of both the countries started visiting each other's countries, regularly. China is also maintaining direct contact with people of Pakistan through friendship associations of both the countries viz. Pakistan-China Friendship Association (PCFA) and the China-Pakistan Friendship Association (CPFA) in Pakistan and China respectively. Subsequently, on 25 March 1965, China-Pakistan Cultural Agreement was signed, which further facilitated visits of high level cultural delegations between the two countries. Later in April 2006, China and Pakistan decided to establish Pakistan Study Centers at the Peking University and the Sichuan University. Academic collaboration between leading Pakistani and Chinese academic institutions also begun, such as between the Punjab University and Sichuan University, Chinese Foreign Affairs University and the Foreign Service Academy of Pakistan and the Communist Party of China (CPC) School and the National Defense University of Pakistan. Later in 2008 and 2009, the Pakistan Culture and Communication Center was established at Tsinghua University and a Pakistan Study Centre at Fudan University, Shanghai, in 2009, respectively. Earlier in 2007, the five years long bilateral 'Youth Exchange Programme' was also launched and 500 Pakistanis and Chinese each were invited to visit China and Pakistan respectively. Chinese language is also being taught in various private schools of Pakistan especially in arrangement with Pakistan-China Institute (PCI)- a non-political think tank, which was launched in Islamabad in October 2009 under the Chairmanship of Senator Mushahid Hussain. Significantly, President Xi Jinping's first ever visit to Pakistan in April 2015, further gave boost to China's 'public diplomacy' in Pakistan. During President Xi's visit, a total of 51 Memorandum of Understanding (MOUs) were signed in different fields and among them were on NUML Pakistan and Xinjiang Normal University, Urumqi China for Cooperation on Higher Education; collaboration on establishment of NUML International Center of education (NICE) between NUML Pakistan; and Xinjiang Normal University, Urumqi, China and establishment of the Chinese Cultural Centre in Islamabad. Notably, China has been using study of Chinese language (Mandarin) by Pakistani youth as an effective devise to expand its influence in Pakistan. Every year 200 new as well already studying Pakistani students in China are being provided scholarships under Chinese Government Scholarship Bilateral Program. Meanwhile, for 2016-17, China Scholarship Council has awarded Chinese Government Scholarship to 131 new Pakistani students, of whom 107 are recommended by the Ministry of Inter-provincial Coordination of Pakistan. The Chinese Government Scholarship programme is a government-to-government undertaking, and aimed at benefiting all provinces and the students of Pakistan including from small cities like Gwadar, Gujranwala, Kamalia, Multan, Swat, Mingora, Sargodha, and Dera Ismail Khan. The first ever Urdu-Chinese dictionary was compiled by Professor Kong Julan, of Beijing University and was launched in 2014 in Fudan University in Shanghai. Since September 2014, China has also increased scholarships stipend money for Pakistani students. Undergraduate students are paid 66,200 Yuan ($10,660) per year, those pursuing master's degree get 79,200 Yuan and PhD students are paid 99,800 Yuan per year. Chinese universities have also been attracting a large number of private Pakistani students. According to statistics released by the China's Ministry of Education in mid-April, there were 397,635 international students from 202 countries and regions around the world studying in China in 2015, a 5.46 per cent increase over 2014. Out of which it is estimated that in 2013, over 8,000 Pakistani students were studying in various universities in China. While only in Xinjiang there were about 500 Pakistani students, there were also 5,000 Pakistani medical students studying in various Chinese universities. 6,000 Chinese students in Pakistan were also studying. Meanwhile, Pakistani teachers in Chinese languages are also being trained regularly by the China government. In 2015, 150 Pakistani teachers were sent to China and 60 Chinese teachers had visited Pakistan. Chinese language is being taught across the Pakistani from school to university levels. China has sponsored 27 leading teaching centers at various levels across the Pakistan and over 7000 students are being taught Chinese language in a number of colleges, universities and languages institutes. In this regard, Islamabad-based the National University of Modern Languages (NUML) is the leading Pakistani university, which provides Chinese language training facilities to civilians as well as Pakistan's armed forces and civil organizations and departments of Pakistan government, in collaboration with China. NUML's other campuses located at Lahore, Faisalabad, Multan, Quetta, Hyderbad and Karachi are also providing training in Chinese language at different levels. The Chinese Language Council International also set up three 'Confucius Institute' in NUML, Islamabad in 2005, University of Karachi in 2012, and at the University of Faisalabad in 2015 to promote Chinese language and culture and have more and more interaction with the people of Pakistan. In 2013, a China Study Centre was also established at COMSATS Institute of Information Technology (CIIT) Islamabad, which is the prime public research university in Pakistan. Since China shares long standing military relations with Pakistan, Chinese language is also being taught to Pakistani forces at different levels and for specific requirements. Chinese language is being taught at Pakistan Navy's Bahria University at Karachi, Pakistan Cadet Colleges at Hasanabdal, near Rawalpindi (Punab) and at Petaro, in district Jamshoro in Sindh province as a regular course. Pakistan's provincial governments, particularly Punjab and Sindh have also been encouraging their youth to learn Chinese language at different levels. In Sindh, the provincial government had announced (September 5, 2011) its plans to make Chinese language compulsory in schools from class six by 2013 and had approved (April 2013) Rs (Pak) 625 million for this purpose. The plan, however, could not be implemented due to some "technical reasons" by 2013. Later, this plan was revived when the Sindh government signed (Karachi, May 25, 2015) a "technical accord" with Chinese education department of Sichuan province of seeking cooperation in teaching the Chinese language in schools of Sindh by next three years. In Punjab (Pakistan), the Technical Education and Training Authority is running a 3 month free language courses to learn Chinese in major cities of the province. In November 2014, a Centre of Excellence for China Studies was also inaugurated at the Government College University (GCU) in Lahore. Later, in 2015, the Punjab (Pakistan) government also decided to send 500 persons to China to learn Chinese on fully funded scholarships. Meanwhile, Lahore based Punjab Jiangsu Cultural Centre, which is the first Chinese Cultural Centre in Pakistan has also been providing training in Chinese language. In Baluchistan, government was making arrangements to teach Chinese language in the province and in October five high schools teachers from Gwadar were sent to Karamay, in Xinjiang in mid-2015 for five months training in Chinese language and teaching skills. Meanwhile, Pakistani youth, particularly from middle class is setting sight on Chinese language and education to brighten its employment prospects as already over 300 Chinese companies are working in various industries in Pakistan. Number of the Chinese companies in Pakistan is bound to increase many fold with the implementation of US $46 billion worth China-Pakistan Economic Corridor (CPEC) by 2025 and beyond that. The key lies in how South Koreans view themselves. 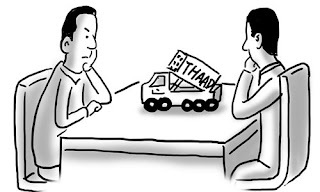 In this sense, it is understandable that the Chinese public felt astonished and betrayed after South Korea announced it may deploy the THAAD system. In fact, a charm offensive in diplomatic and economic fronts is unlikely to prompt South Korean society, in particular the conservatives, to fundamentally change their perception of China. A Non-Governmental Oganisation [sic] (NGO), Initiative of African Friends of China, says it has concluded plans to start the teaching of Chinese language in some centres in Nigeria. [...] which would be extended to other African countries, was aimed at boosting the relationship between Africa and China. Each presidential inaugural address provides a snapshot of underlying American ideals. When they announce new policies, presidents characteristically appeal to enduring values. As they begin new terms, presidents promise both change and continuity, so inaugural addresses always deserve careful reading. When reading any of the addresses from the past, imagine that you have travelled back in time and have become one of the President-elect’s or President’s advisors. You’ve been asked to review the draft of the inaugural address and to consider it as part of the president’s legacy -- whether it will ring tomorrow as well as today. You have a blue pencil in your hand. A paragraph you leave unmarked probably represents continuity; the address has expressed ideals that will still sound well in the twenty-first century. Your edits, on the other hand, probably indicate change between those times and ours. President Truman’s inaugural address of January 20, 1949, for instance, included these words. Should any be changed? Have we “moved” from “this faith”? It is fitting, therefore, that we take this occasion to Proclaim to the world the essential principles of the faith by which we live, and to declare our aims to all peoples. The American people stand firm in the faith which has inspired this Nation from the beginning. We believe that all men have a right to equal justice under law and equal opportunity to share in the common good. We believe that all men have a right to freedom of thought and expression. We believe that all men are created equal because they are created in the image of God. From this faith we will not be moved. The American people desire, and are determined to work for, a world in which all nations and all peoples are free to govern themselves as they see fit, and to achieve a decent and satisfying life. Above all else, our people desire, and are determined to work for, peace on earth--a just and lasting peace--based on genuine agreement freely arrived at by equals. In the pursuit of these aims, the United States and other like-minded nations find themselves directly opposed by a regime with contrary aims and a totally different concept of life. That regime adheres to a false philosophy which purports to offer freedom, security, and greater opportunity to mankind. Misled by that philosophy, many peoples have sacrificed their liberties only to learn to their sorrow that deceit and mockery, poverty and tyranny, are their reward. That false philosophy is communism. Public diplomacy officers often draft speeches, and at an Embassy it is a Public Diplomacy officer who most tracks concepts, ideas, and how American words may be heard differently by those in another culture. Since the time of the U.S. Information Agency, it has been Public Diplomacy officers who track propaganda, disinformation, and lies. It is Public Diplomacy officers, too, who first hear from foreign contacts when America’s actions fail to match America’s words. Here, then, is another portion of President Truman’s 1949 inaugural address. First, one notices the echoes of President Roosevelt’s “Four Freedoms.” Second, this is the only time the word “propaganda” was used in an inaugural address. Slowly but surely we are weaving a world fabric of international security and growing prosperity. We are aided by all who wish to live in freedom from fear -- even by those who live today in fear under their own governments. We are aided by all who want relief from lies and propaganda -- those who desire truth and sincerity. We are aided by all who desire self-government and a voice in deciding their own affairs. We are aided by all who long for economic security-- for the security and abundance that men in free societies can enjoy. We are aided by all who desire freedom of speech, freedom of religion, and freedom to live their own lives for useful ends. If similar words were included in the first draft for the inaugural address of January 20, 2017, would the new President’s advisors feel a need to edit them? Finally, one small note. A footnote to the text of the President’s address on the Truman Library website notes: “Two Bibles were used in the inaugural ceremony -- the Bible used at the swearing-in of the President on April 12, 1945, and a Gutenberg Bible presented by the citizens of Independence, Mo. The President's left hand rested on both Bibles while he took the oath. The Bible used at the swearing-in of the President was open at Matthew 5, verses 3-11. The Gutenberg Bible was open at Exodus 20, verses 3-17. The cited verses in Matthew begin, “Blessed are the poor in spirit . . .” – the Beatitudes from the Sermon on the Mount. The opening line of the passage from Exodus is “Thou shalt have no other gods before me” (opening the Ten Commandments). Should the next President follow President Truman’s example? And if so, what verses might be appropriate? Did Yerevan take hostage citizen of Russia? A 30-year-old Russian Sergey Mironov has been detained in the Yerevan Airport on the US authorities' request. His lawyer Karen Nersesyan said that he is accused of laundering $ 50 thousand and involvement in the illegal transfer of military technology. At the moment Mironov is in detention. Nersesyan added that Mironov had no access to military technology and had visited the United States only once, in 2013. Despite statements of the Armenian leadership that the detention was carried out on Washington's request, the US State Department declined to comment on the incident. "We suggest that you contact the local authorities on this issue," RIA Novosti cited the US State Department spokeswoman Elizabeth Trudeau as saying. Interpol also declined to comment the situation. Detention of the Russian citizen in Armenia on the US request is under international law, the member of the Public Chamber of the Russian Federation, chairwoman of the commission on the development of public diplomacy and support for compatriots abroad, Elena Sutormina, said. Sutormina suggested that the authorities in some countries "are trying to sit on two chairs," seeking "to please" Washington. "And we note it with very great regret. This is considering the fact that Russia is now actively assisting in the settlement of the Nagorno Karabakh conflict. We would not like to see such incidents in the future," the member of the Public Chamber noted. The detention of Sergey Mironov was a complete surprise for his wife Julia. "My husband was in no way connected with the Americans and the United States. We have two small children. He has worked in IT company in Moscow, he work [sic] Monday through Friday, from morning till evening. It is a complete shock for me, I do not understand how he could be linked with the United States," she said. Today in Yerevan, presumably, official documents will be made public and the issue of Mironov's extradition to the United States will be decided. 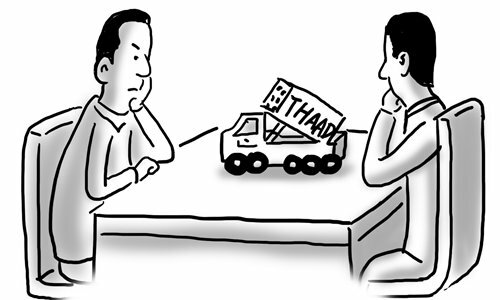 A flashpoint in South Asia? 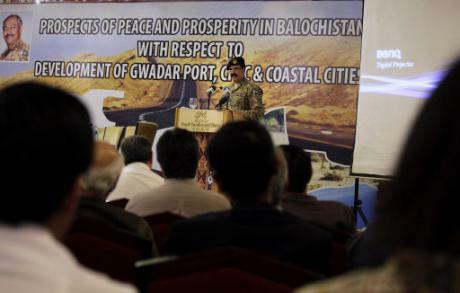 Image from article, with caption: April 2016.Pakistan's Army Chief General addresses a seminar on 'Prospects of Peace And Prosperity In Balochistan. Some political outfits in India, flaunting aggressive patriotism, have been opposing visits by Pakistani musicians, singers and film actors. India’s public diplomacy campaign is not helped when its defence minister calls Pakistan, “Hell”. When a former woman MP on her return from Pakistan says Pakistan is no Hell, a “patriotic” person filed a sedition case against her! The ideological followers of the Indian Prime Minister [Modi] routinely ask his critics to migrate to Pakistan. Vigilante groups intimidate the “anti-nationals” with impunity. Israeli West Bank policy, whereto? Israeli West Bank policy – where to?